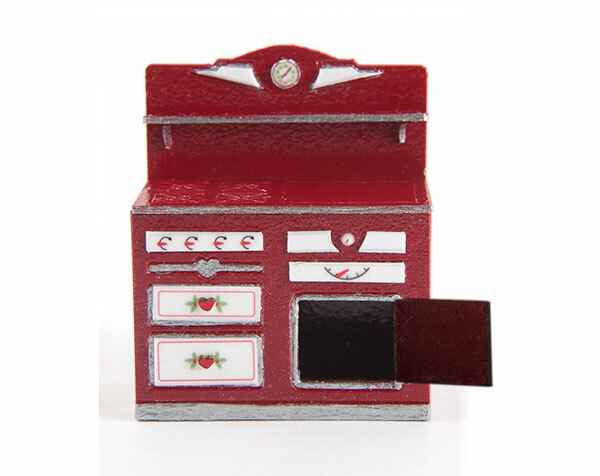 Are you packing your toolkits for Tucson? Hopefully, you can join us for the NAME National Convention starting next week! 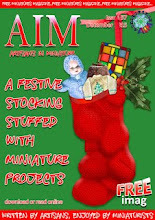 We are introducing many new kits (the most we've ever brought to a show)! If traveling to Tucson isn't in your schedule, no worries... these kits will be available on our website in late July. 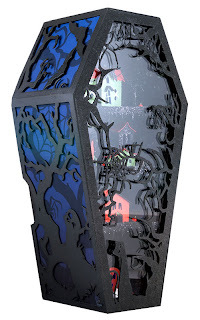 I'll send out a newsletter announcement when they are ready, so you may wish to sign up for the newsletter. Hope to see you in Tucson or another upcoming show! 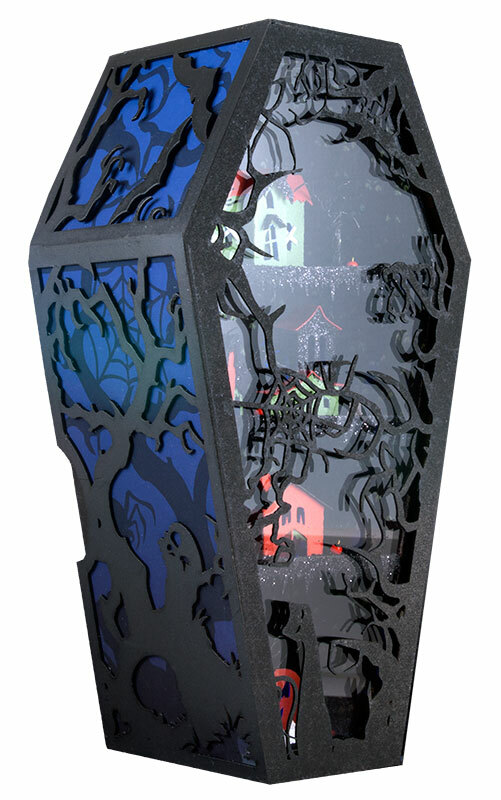 Creepy Coffin Kit may be decorated with 5 new Halloween glitter houses and blue LEDs. Scream and shOuthouse with blue LED. 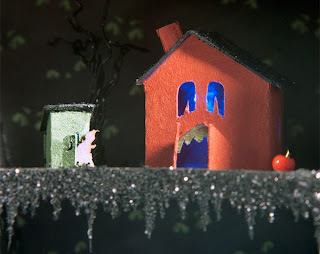 ; 1 of 5 new Halloween glitter houses for the Creepy Coffin Kit. 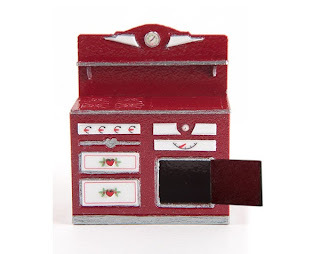 Quarter scale, vintage style stove kit. 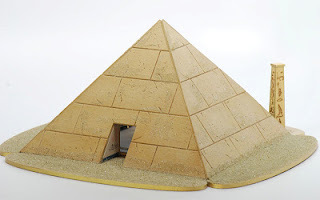 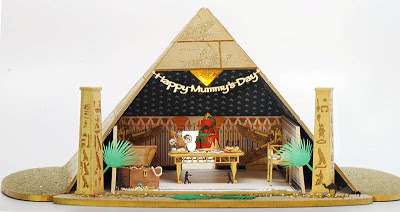 Quarter scale Pyramid Kit, in conjunction with Stewart Dollhouse Creations. 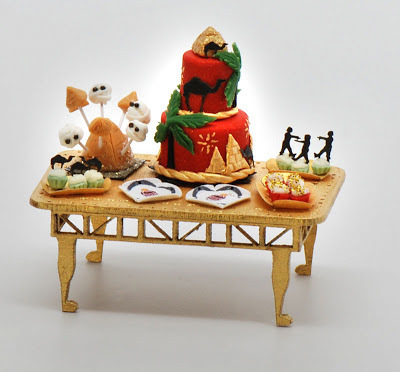 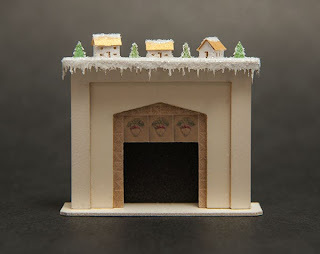 2 quarter scale kits: fireplace with icicles and glitter houses.